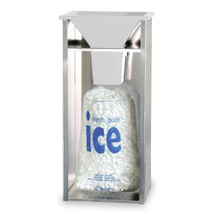 Hercules Ice Bagger Dispenser 8 lb - 10 lbs. Fill ice bags in seconds! Ice Bagger is the most efficient tool for filling ice bags. This Ice Bagger works with 8 lb. or 10 lb. plastic wicket bags. 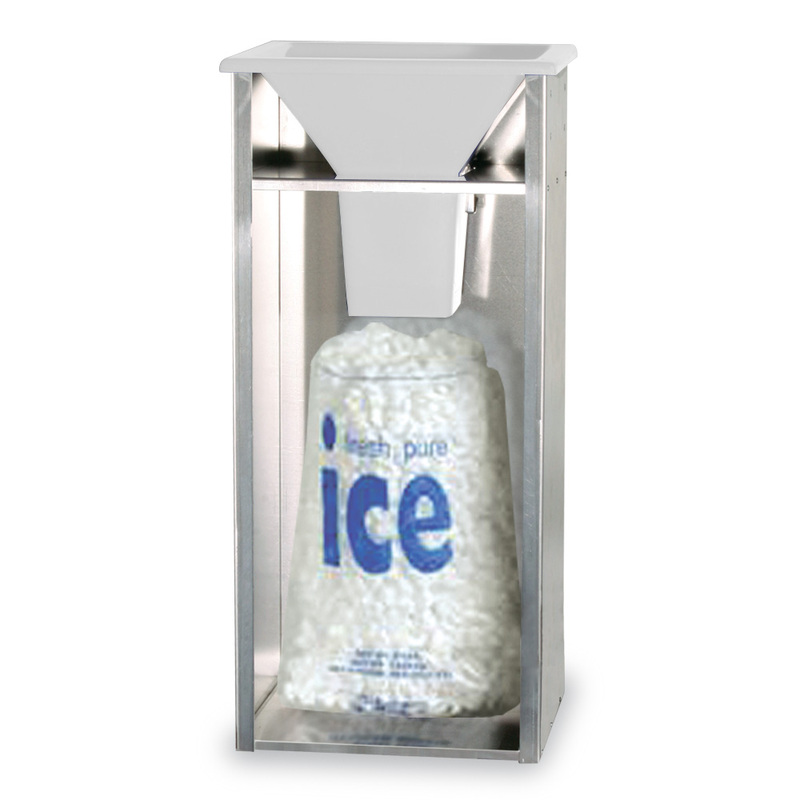 Simply attach ice bags on to the dispenser and fill ice through the removable BPA-free poly chute. Hangs onto the side of the freezer for quick ice loading.